New York New York Hotel and Casino in Las Vegas. New York New York is the hotel on the Strip, where you'll find all of Manhattan in one place. Zumanity is the combination of the words Zoo and Humanity. A provocative adult cabaret with the theme "the human zoo". Music, acrobatics, drag, costumes ... For all over 18 years. The hotel opened on 3 January 1997. Costed $ 485 million to build. The theme is New York and the hotel represents New York's famous sky-line with its skyscrapers. Here you can find the Statue of Liberty, Empire State Building, Brooklyn Bridge and Grand Central Station, etc. In front of the Statue of Liberty is a memorial of 11 September. The Statue of Liberty is half as high as the original and extends 46 meters. The hotels various areas such as restaurants, bars and the casino are named after New York's boroughs and known locations. For exempel, the casinos main area is called Central Park. The size of the buildings is about one-third of the originals. 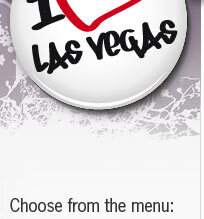 "The Greatest City in Las Vegas". Discover The Park that makes the New York-New York and Monte Carlo and the new T-Mobile Arena. The park is an outdoor venue for entertainment and dining. In all areas, there is outdoor seating that allows everyone feels involved in what is happening. 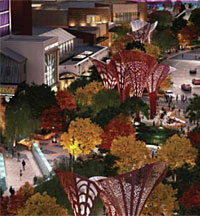 The park has been inspired by a desert landscape that is unique to the Strip. Here you will find restaurants etc. More than than 2,000 slot machines such as the Wheel of Fortune, Monopoly, Megabucks, Jeopardy, Slotopoly, Blazing 7's Dollars, Empire Slots. You can also play Blackjack, Craps, Roulette, Mini Baccarat, Pai Gow Poker, Caribbean Stud Poker, Big Six, Casino War and Keno, etc.